Georgians Socialising at Easter – Norfolk Tales, Myths & More! Some things customary refer simply to the idea of feasting, according to the season and occasion. Of these, perhaps, are lambs-wool on Christmas eve; furmety on Mothering Sunday; Braggot (which is a mixture of ale, sugar and spices) at the festival of Easter … lamb at Easter to the Paschal Lamb. This, perhaps, may be the case also with respect to pancakes on Shrove Tuesday; unless that shall be supposed to allude to ‘the egg at Easter’ an emblem of the rising up out of the grave; in the same manner as the chick, entombed as it were in the egg, is in due time brought to life. So also the flowers, with which many churches are ornamented on Easter-day, are most probably intended as emblems of the resurrection having just risen from the earth during the severity of winter, they seem to have been buried. A custom, which ought to be abolished as improper and indecent, prevails in many places of lifting, as it is called, on Easter Monday and Tuesday. Is this a memorial of Christ being raised from the grave? There is, at least some appearance of it; as there seems to be trace of the decent of the Holy Ghost on the heads of the Apostles in what passes at Whitsuntide fair in some parts of Lancashire; where one person hold a stick over the head of another, whilst a third, unperceived, strikes the stick, and thus gives a smart blow to the first. But this, probably is only local. Of the multitude of customs and ceremonies which formerly commanded attention at this season, but very few are preserved; it is however, universally considered as a time appropriate to recreation and innocent festivity. Amongst the common people it is even now a custom in the North to rise early, in order to see the sun dance. We suppose this o have arisen from some metaphorical expression in the sacred writings. Boys carry a vessel of water into the fields, that the sun may seem to dance from the tremulous motion of the water. Paper eggs, properly pasche eggs, are stained of different colors and covered with gold leaf, and given to young children in the North of England as a fairing. This is a relic of Popish superstition; an egg being considered a type of the resurrection. This custom prevails in Russia; a long account may be seen in Hackluyt’s voyages. Dr. Chandler also in his travels in Asia Minor says ‘they made us presents of coloured eggs and cakes of Easter bread’. Durand says, that on Easter Tuesday wives used to beat their husbands, on the day following when husbands beat their wives. In the city of Durham the following custom is still preserved: On one day the men take off the women’s shoes, which are only to be redeemed by a small present. On another day the women take off the men’s in a like manner. 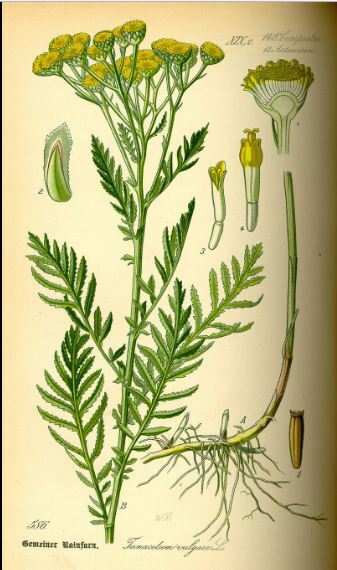 In Yorkshire tansy puddings and cakes are made, which custom Seldon, in his ‘Table Talk‘, has referenced to the bitter herbs which the Jews greatly use at this season. At Newcastle, on Easter Monday a great match is always played at hand ball for a great tansy cake. Many other incidents might be enumerated, most of which are obsolete, and many generally forgotten; we sincerely however regret, that the memory of anything should be lost, which, by introducing innocent merriment, strengthens the sweet bond of social life. The belles and beaux, from the fineness of the weather, exceeded far, very far, any number that ever were seen at that favourite spot. From six to eight o’clock, on their return to London, it was one continued throng of holiday people of all ranks and descriptions, from Greenwich park to Westminster bridge. There was no resisting the torrent; and many an honest young woman who was so yesterday morning, will have fatal cause to repent, before this day twelvemonth, the frolic of tumbling down the hill in the park – drunkenness, riots, battles and thefts, as usual, dignified the proceedings. Not less than one hundred thousand persons were present. At ten in the morning, at least ten thousand equestrians and pedestrians were upon the forest: every species of vehicle from the hand cart and buggy to the light waggon and splendid chariot was there. At one, the stag, bedecked with ribbons was turned out on Fairmaid Bottom – and then the fun began, with running, riding, crossing, jostling, tumbling, hooting, shouting, screaming and howling; which formed the scene that may be seen, but cannot possibly be described, and that indeed never before was exhibited but in a nation of madmen. At four, the stag was at bay in a thicket, near the Royal Oak and was taken and put in a cart and with continual shouts was brought to the starting house in order to afford fresh sport in future.